If only everything in life were as easy as finding the perfect gift for yourself. When it comes to the men in our lives picking the perfect gift is far from simple. Just in time fore wedding, anniversary and graduation season you can choose to woo your man with customizable handmade cufflinks by Blake Green NYC. 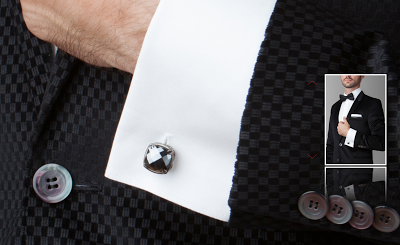 Blake Green carries cufflinks to praise each man in your life. Every piece is hand made in New York by expert craftsmen. All of the designs are made of solid sterling silver or gold and features a combination of precious and semi-precious stones. There is no question, this is a gift for a man that appreciates quality and attention to detail. We couldn't imagine a way to make your dad, husband, best-man or graduating son feel more prized. They look really great too!